This map illustration shows the Shahr-e Kord region of Iran. A Turkish private jet flying from the United Arab Emirates to Istanbul crashed Sunday night, with Iranian state television reporting the plane hit a mountain in Shahr-e Kord and burst into flames. Investigators on Monday found the "black box" from a Turkish private jet that crashed in an Iranian mountain range on its way from the United Arab Emirates to Istanbul, killing all 11 people on board that included a Turkish bride-to-be and her bachelorette party. 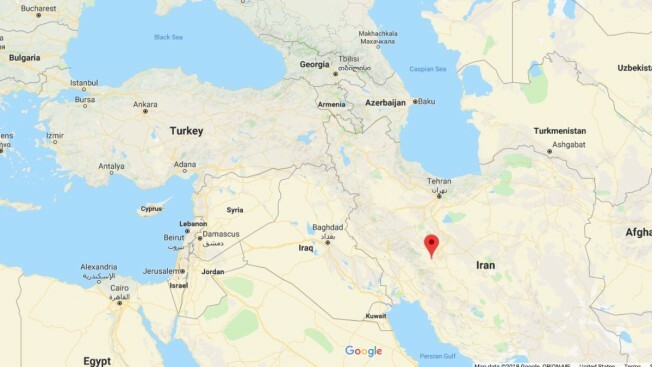 Authorities recovered all the dead from the crash site in the Zagros Mountains outside of the city of Shahr-e Kord, some 370 kilometers (230 miles) south of Iran's capital, Tehran, according to a report by the state-run IRNA news agency. Associated Press writers Jon Gambrell and Suzan Fraser contributed to this report.